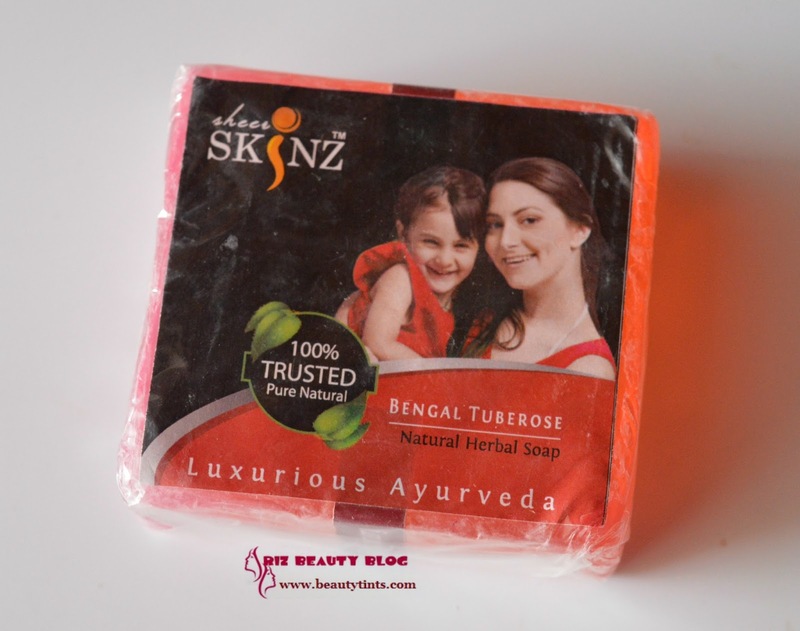 Sriz Beauty Blog: Sheer Skinz Bengal Tuberose Natural Herbal Soap Review!!! 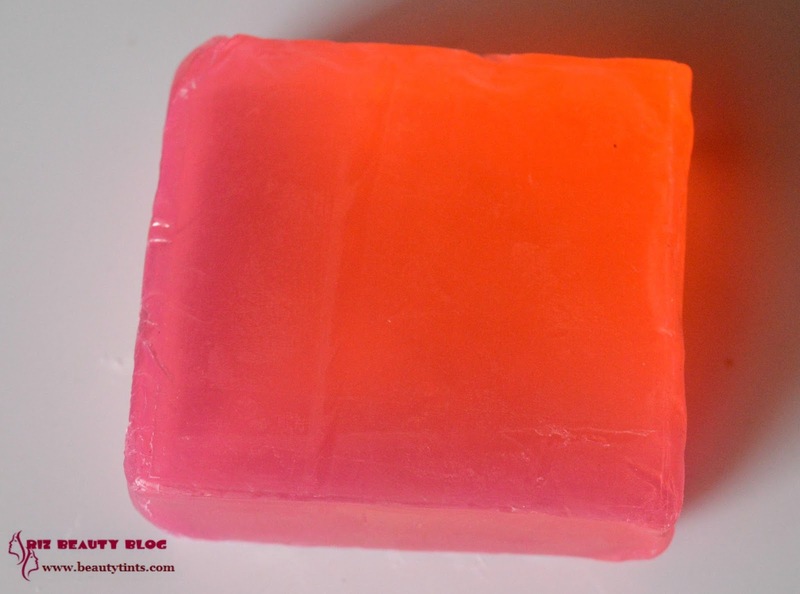 Sheer Skinz Bengal Tuberose Natural Herbal Soap Review!!! Today I am reviewing my first product from Sheer Skinz,which is their Bengal Tuberose Natural Herbal Soap.This is a glycerine based herbal soap enriched with the goodness of Tuberose Essential Oil,which acts as a anti depressant and helps in improving Blood Circulation!!! 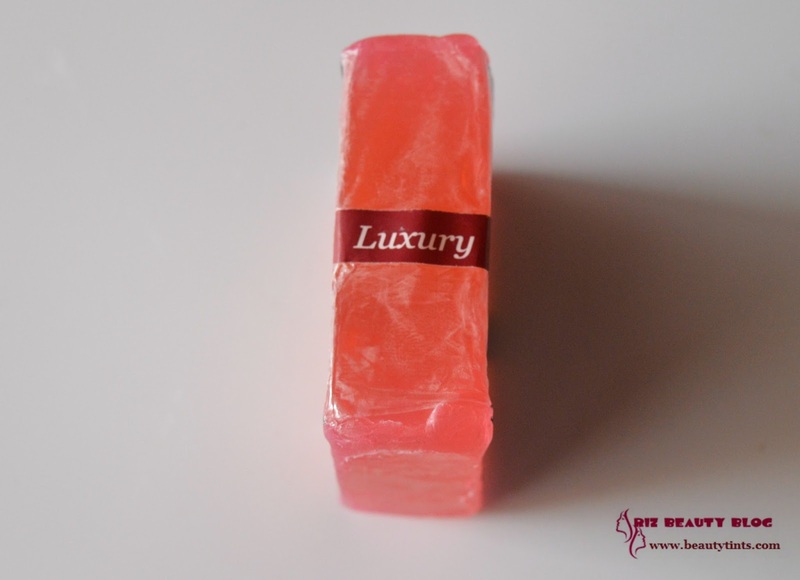 What the Brand Says: 100% PURE & NATURAL LUXURIOUS AYURVEDA - AN ESSENCE OF LUXURY.Come & Experience the Purity of Sheer Skinz & discover Luxurious Ayurvedic Skin Care Products that are harmony with the environment. 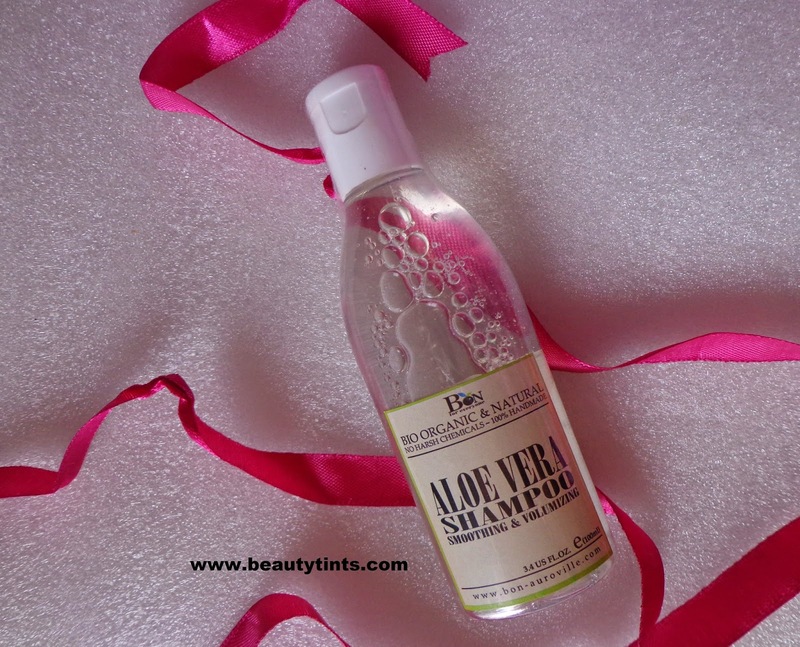 We take pride in our products that are made exclusively from the Purest Ingredients, Herbal Essences with pure essential oils leaving your SKIN SUPPLE SOFT , SMOOTH AND GLOWING. Sheer Skinz traditional Skin Care Brand - A pioneer in the Luxury Ayurvedic segment, today has become the secrets of ancient beauty rituals for Facial Care, Body Care, Hair Care and Wellness category .The use of pure herbal extracts & essential oils is used to cleanse nourish and replenish moisture to radiate inner beauty. 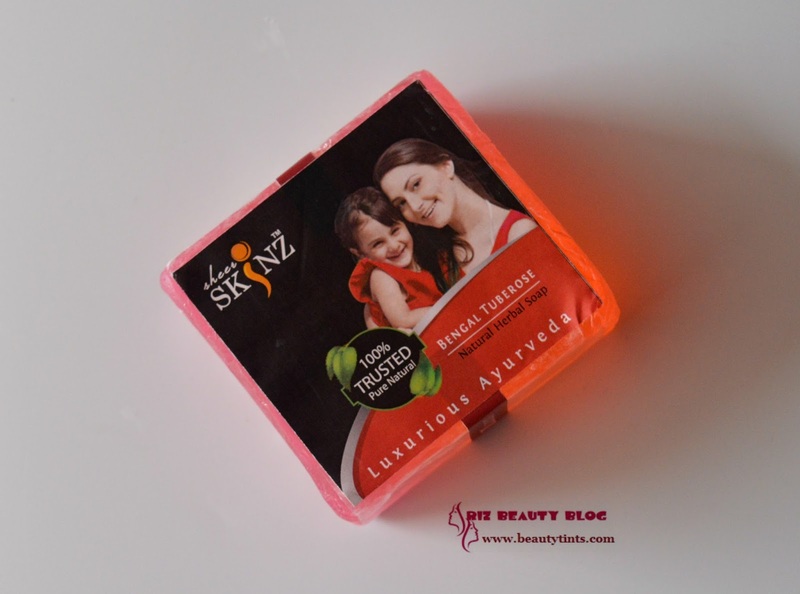 Each Sheer Skinz product uses traditional methods in its making and adheres to the highest standards of purity, authenticity and quality to create - Luxurious Ayurveda.To know more about them and to explore their range of products, visit their website and facebook. Packaging :The soap is double wrapped with a plastic film with labels on either side with all the required information printed on them. 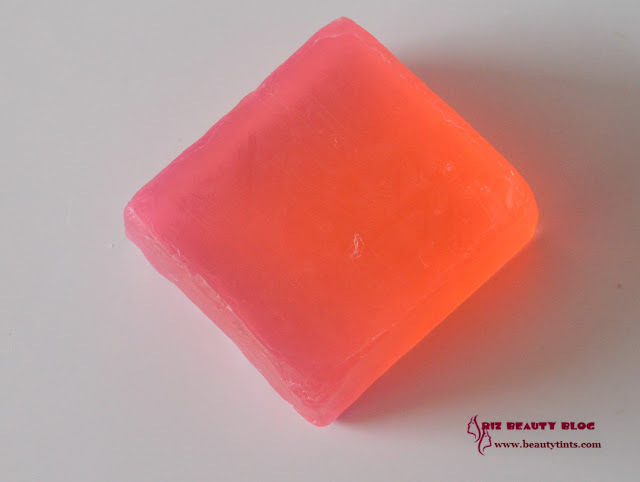 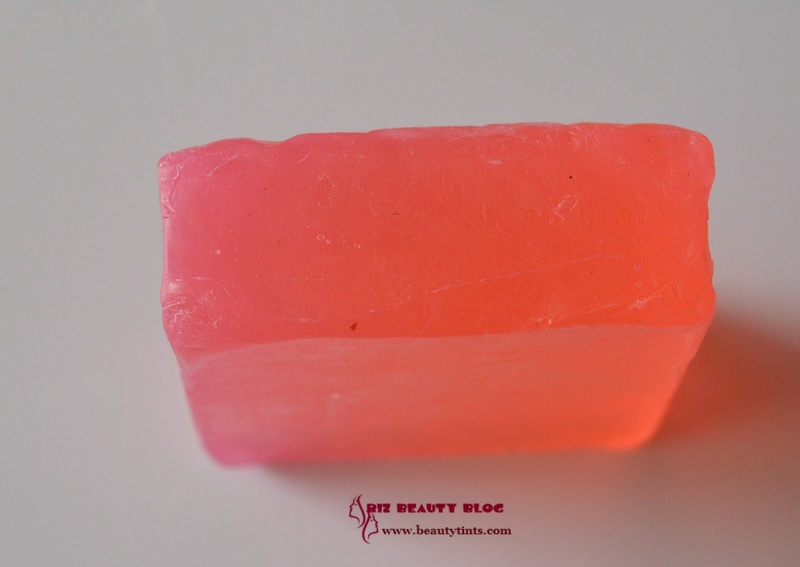 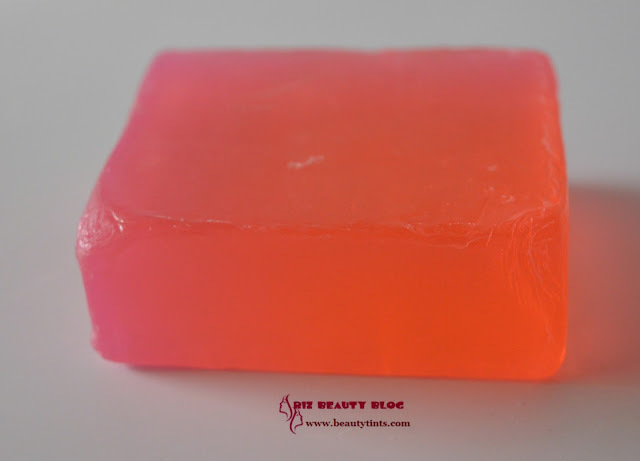 Color and Texture : This is a pink colored translucent soap with a hint of purple color. 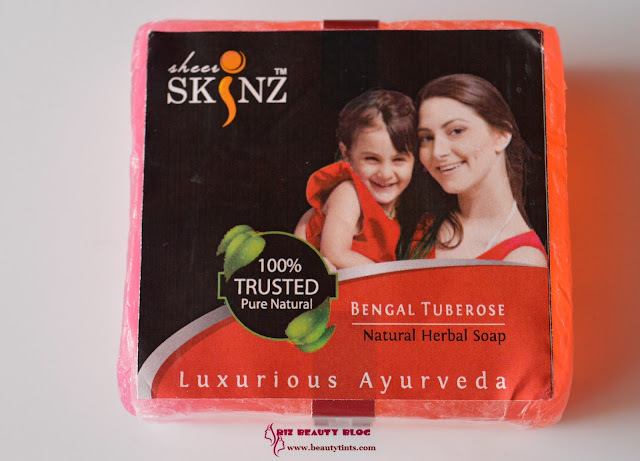 Sheer Skinz Natural Premium Herbal Soaps are 100% natural and infused with the purest plant, fruit and nut extracts along with natural water and pure essential oils of Bengal Tuberose . 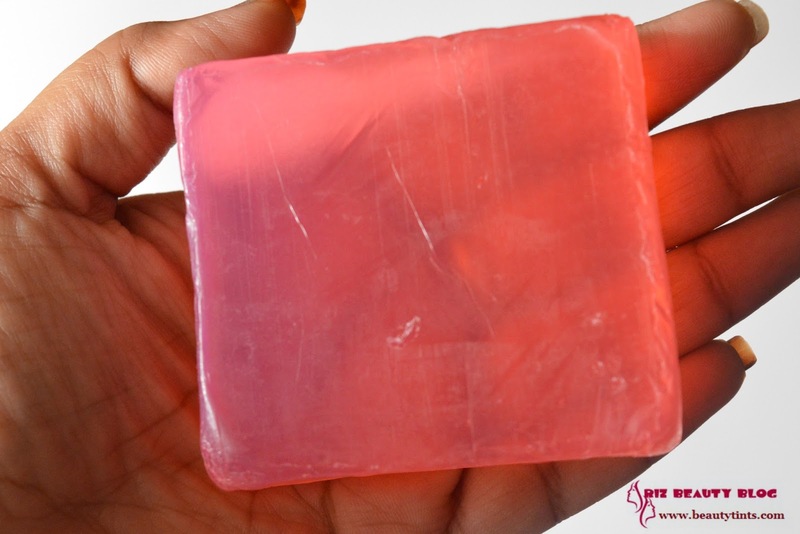 The blends of real essential oils make these body wash aroma therapeutic & relax your body, mind & soul.Sheer Skinz Luxurious Soaps contain selected herbs known for their nourishing and cleansing properties without stripping natural moisture. 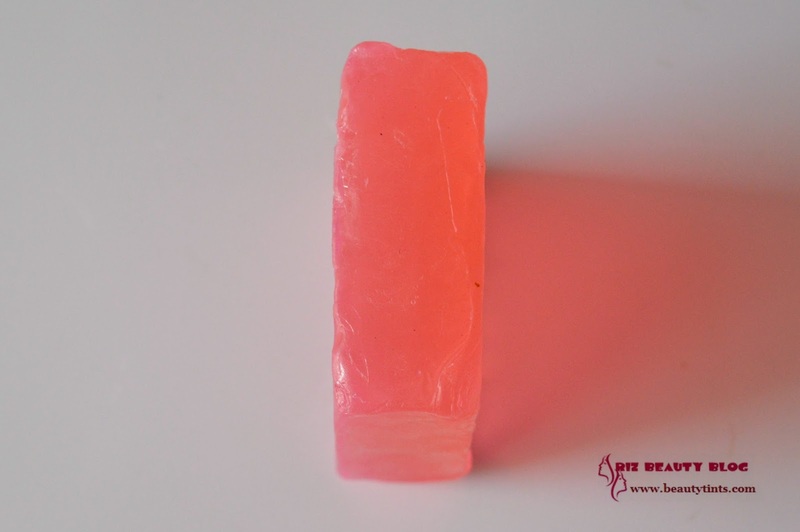 Availability : Available from their website.You can buy it here. 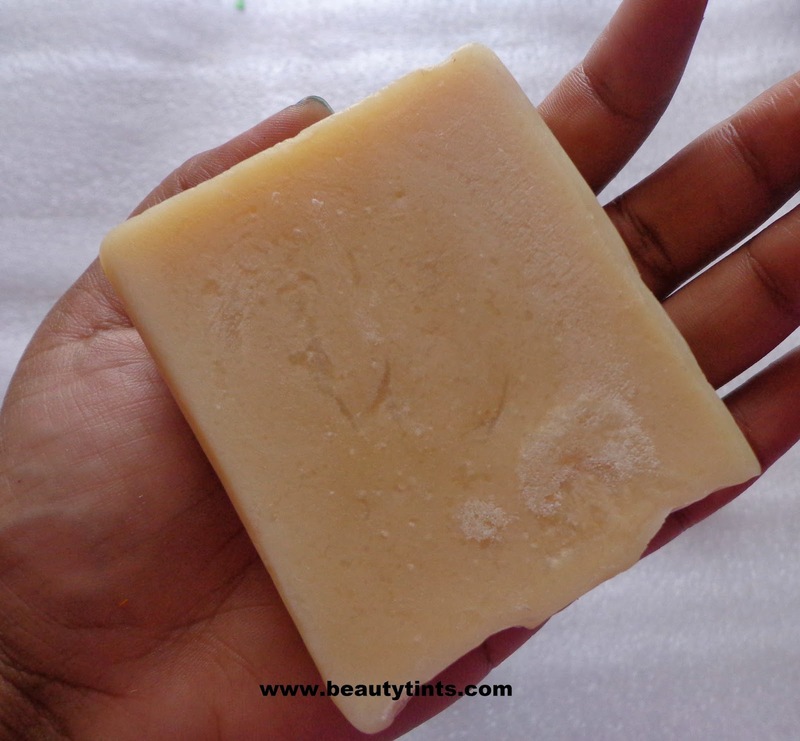 Ingredients : Aloe Vera Extract,Nagkesar Extract,Turmeric Extract,Saffron Extract,Neem Extract,Amla Extract,Vitamin E,Glycerin,Sugar,Tuberose Essential Oil,Soap Base,Purified Water. 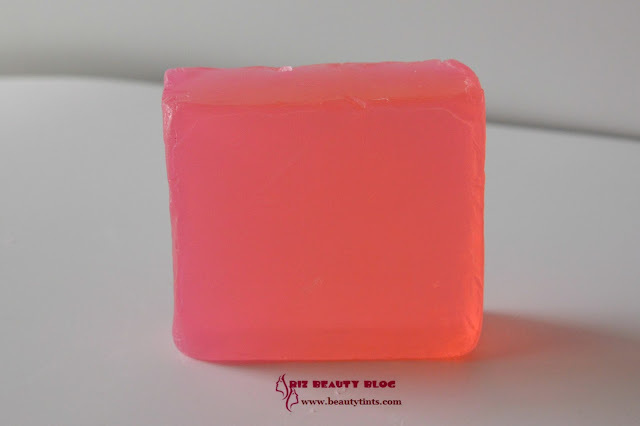 My View On the Product : This is a pale pink colored translucent soap,which smells wonderful,may be its the fragrance of Tuberose,which I never smelled before.Its a bit similar to jasmine but it is very mild and soothing.This is a glycerin based soap and so it is very slippery and It is a bit bigger in size and so it would be better to cut into two or else there is a chance of slipping,which I am facing every time.It lathers very very well and gives a nice cooling sensation.It leaves skin smooth and nourished with out drying and with out giving the stretchy feel.Though it lathers heavily,it doesn't melt easily.It retain its shape till the end but care should be taken while storing this.It removes all the traces of dirt and grime and gives a squeaky clean feel.It is enriched with the goodness of Aloe Vera Extract,Nagkesar Extract,Turmeric Extract,Saffron Extract,Neem Extract,Amla Extract,Vitamin E,Glycerin,Sugar,Tuberose Essential Oil and is free from harmful chemicals and preservatives.Seeing at its price,I would say it is one of the best soaps at this pretty affordable price!!! Final Conclusion about Sheer Skinz Bengal Tuberose Natural Herbal Soap : Overall,a wonderful affordable soap which cleanses the skin in a gentle manner with out drying it!!! 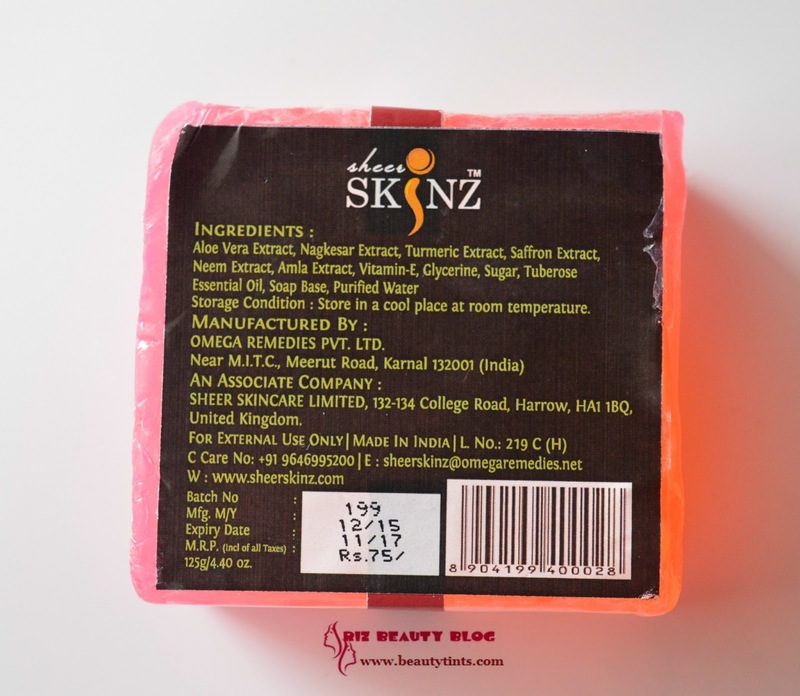 Labels: sheer skinz, Sheer Skinz Bengal Tuberose Natural Herbal Soap Review, sheer skinz product reviews, tuberose essential oil benefits.